To start out, setup the open loop transfer function. Next, you can choose to set up the MATLAB code in a few different ways. First make sure that both the numerator and denominator are in acceptable forms. For a more complex problem we can bypass the long and tedious expansion process and use the convolution function in MATLAB. 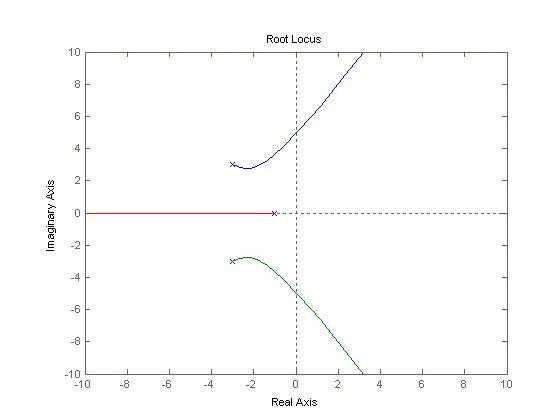 After we define our numerator and denominator in MATLAB, we can use the root locus function then set our axis parameters as follows.